PANDORA Heart and Bee Charm. 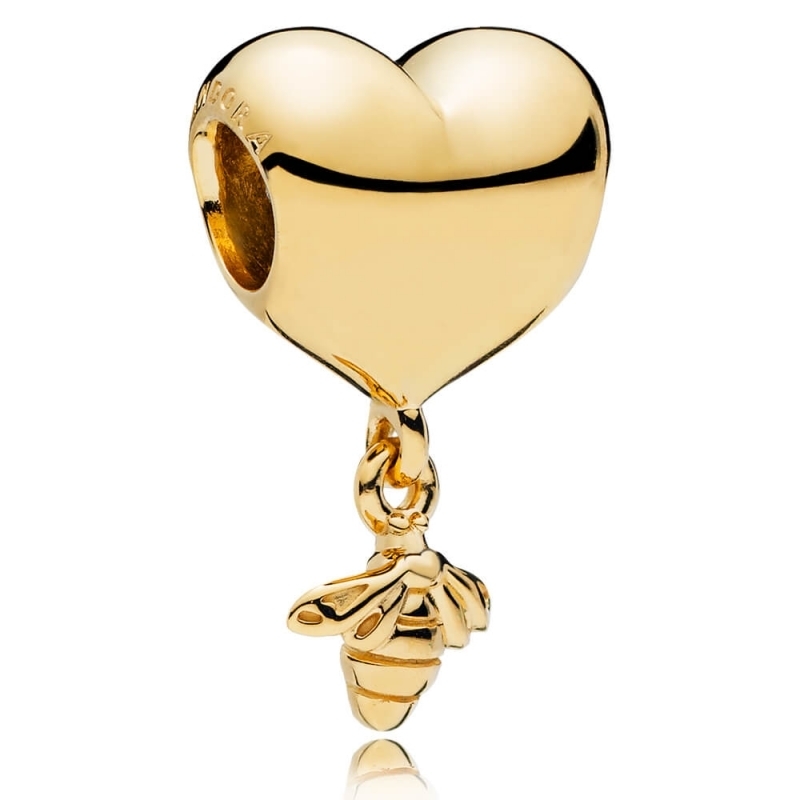 Covey your playful side and transform bracelet stylings with this delightful heart and bee dangle charm. Made from 18ct gold-plated sterling silver.